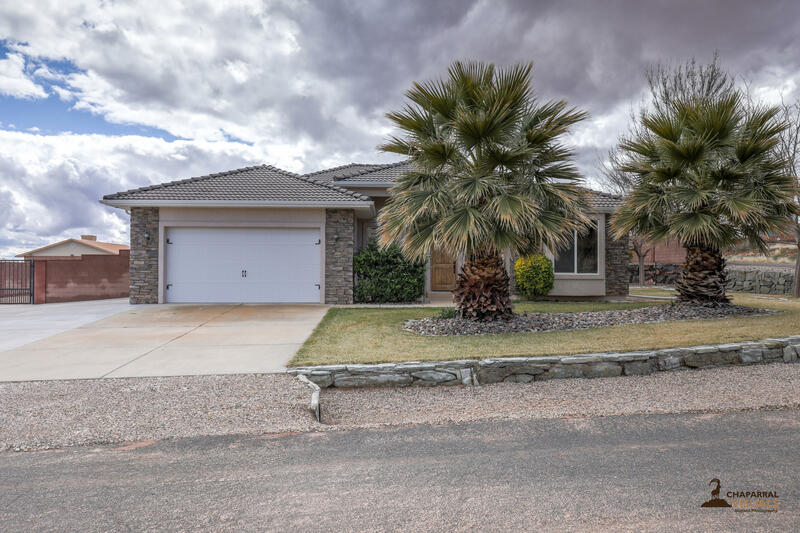 All Winchester Hills homes currently listed for sale in St George as of 04/19/2019 are shown below. You can change the search criteria at any time by pressing the 'Change Search' button below. "This Beautiful home with Amazing views features 5 bedrooms and 4.5 bathrooms, 3 car oversized garage with RV garage. It has a fully finished walk-out basement and so many upgrades which include, Two master bedrooms, full theater room, gourmet kitchen with Wolf appliances, marble flooring, hand-carved Honduras mahogany wood and Cherry wood throughout and lots of room for entertaining." "Awesome Home located in Winchester Hills Sub-Division on 1 acre with horse privileges. Too many extras to list them all! Has a 30 x 40 Metal Shop with an AWESOME MAN CAVE! Fully Landscaped with block wall and gates. Extra property out back with an RV cover of 10 x 36."